Growing up in a farming family, Shelly Rogers was raised with a love and appreciation for the land, livestock and wildlife. After graduating from Texas A&M, Shelly Rogers and her husband raised two daughters and kept busy with their horses, cattle and 4-H project animals. In addition to hauling her girls to rodeos, horse judging contests and livestock shows, Shelly taught secondary science. Shelly and her family started visiting the west Texas Davis Mountain area in the 1980’s. In 2007, she and her husband moved to the area where they have horses and a small herd of Corriente cattle. Though she always had an interest in art and enjoyed drawing illustrations and models for visual aids in her classroom, Shelly got the long awaited chance to more seriously pursue art after participating in workshops at the Museum of the Big Bend in Alpine, Texas. Under the tutelage of Deborah Allison, she started giving more and more time to painting. 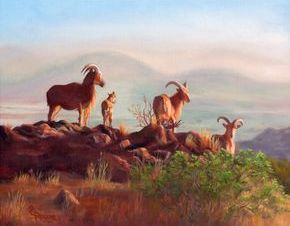 Inspired by the beauty of the west and desert mountain region, her favorite subjects are landscapes and indigenous plants, along with her horses and cattle. 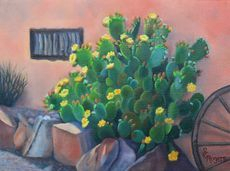 Shelly has been represented at Gallery on the Square in Alpine, Museum of the Big Bend, Sunshine House, West Texas National Bank and Big Bend Regional Medical Center. 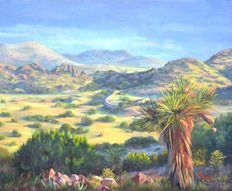 She is a member of American Plains Artists and Big Bend Arts Council. 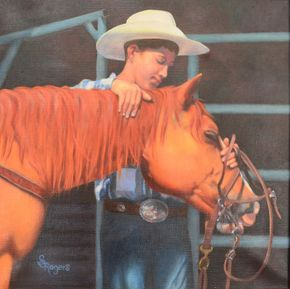 Her paintings have been juried into art shows in San Angelo, Texas and Trappings on the Brazos of Llano, Texas.